The Pumpkin Spice Latte is all the rage during the fall season, right? Do you love them as much as I do? Unfortunately, these sugar and fat loaded drinks can quickly break the bank and your waistline if you drink too many of them. Not to mention keeping holiday weight gain at bay is hard enough. Adding these calorie rich drinks can make avoiding excess holiday weight gain nearly impossible. So, to save some calories and some cash on this Fall favorite Pumpkin Spice Latte, I have created a new and favorite version that adds for an extra beauty boosting treat. The smell of cinnamon and coffee makes me fall in love with Fall every time I drink it. During the colder months, I make this delicious drink several times a week. Call me crazy, but I look forward to waking up a little early just to enjoy my cup of coffee in peace, and answer some emails cuddled on the couch with a delicious smelling candle. This Pumpkin Spice Late also makes the perfect mid afternoon treat when I am feeling the afternoon slump and need a little pick-me-up. The combination of , Collagen Protein, healthy fats and spices make a this coffee drink both filling and satisfying. I am always looking for creative ways to add my into my day and this drink is the perfect combination of protein, spice and everything nice! Pumpkin spice lattes usually have a reputation for being very unhealthy. But when you strip out all the fat and sugar, pumpkin and cinnamon have some very positive health benefits. Pumpkin is packed with nutrients such as Vitamin A & C which can help give your immune system a boost. It is also low in calories and high in antioxidants. Cinnamon is very high in antioxidants and also has anti-inflammatory benefits, which may help lower your risk of disease. The spice can also help increase insulin sensitivity which can help lower blood sugar levels and have an anti-diabetic effect. 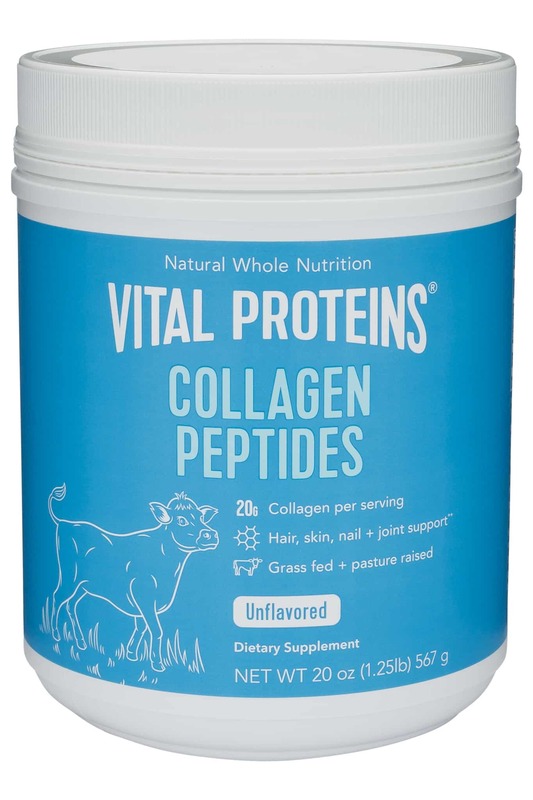 Collagen Protein is hands down my favorite supplement right now. Since adding it consistently to my diet, my hair has become drastically thicker, my joints don’t ache as much and my nails are not as brittle. I have been taking it during pregnancy to help prevent stretch marks and protect my joints from the loosening effects of the pregnancy hormone, “relaxin”. Protein not only supports normal bodily functions and muscle recovery, but it also helps keep us feeling fuller, longer. Ora Organic “So Lean & So Clean” plant based protein is my new favorite because it is very easy on my stomach and contains digestive enzymes to help in the digestion and breakdown of food for easier absorption. If you want to try it, use code BROOKECAVLLA10 for 10% off your first purchase. So, if you want to enjoy this fall treat, try this healthier version the Pumpkin Spice Latte with beauty boosting benefits of collagen protein and antioxidant benefits of pumpkin and cinnamon. Pumpkin Spice Lattes are all the rage during the fall season. But they can quickly break the bank and your waistline. Save some calories and some cash on the Fall favorite Pumpkin Spice Latte. This version adds protein for an extra beauty boosting treat! This Pumpkin Spiced Late can be enjoyed hot or iced! I love this drink either first thing in the morning when I'm on the go or in the afternoon for a little pick-me-up. Because of the added protein, it keeps me feeling full and less likely to snack on empty calories.